Discussion in 'Marketplace Discussions' started by Diorama, Nov 29, 2017.
has definitely declined over the years, however still better than Deep Discount. I'll say this for ImportCDs and Deepdiscount in recent years. 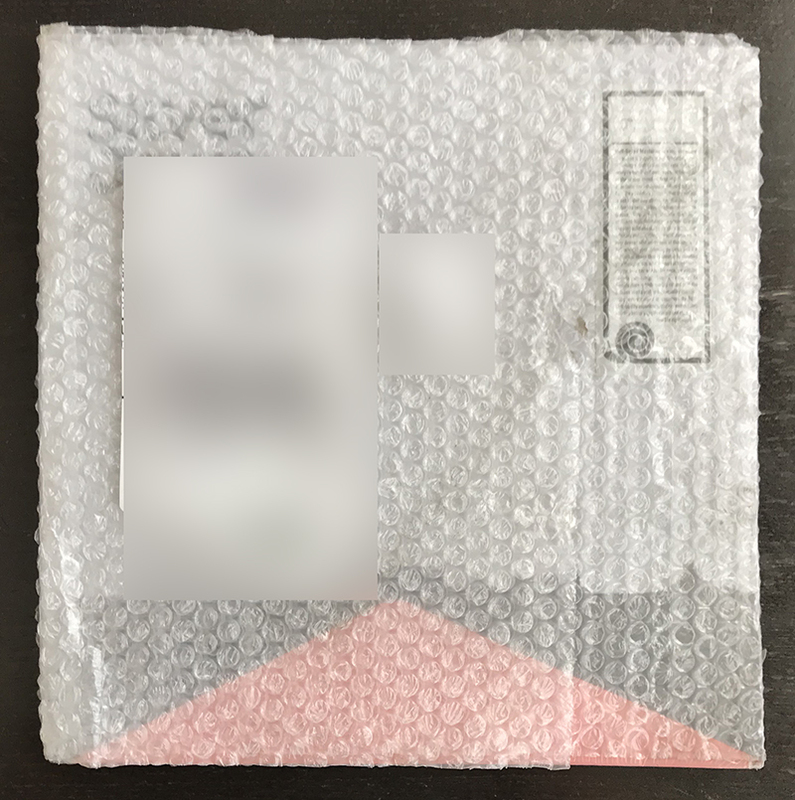 If you order several CDs at once, they package them in a snug box almost perfectly sized to hold CDs and will usually arrive in mint condition. Their packaging for LPs and large box sets are more suspect. Their packaging for LPs and large box sets are more suspect. Pressed corrugated with adhesive sides. What do people that need to return an item do ? They must come up with their own packaging, because you have to destroy the pressed wings, in order to get to your purchase. Sometimes Amazon sending the wrong item works out quite nicely. I ordered "29" by Ryan Adams on vinyl and got "Abbey Road" instead. I didn't have Abbey Road on vinyl until now and I paid half the price that it is currently going for on Amazon.ca. Luckily the Ryan Adams LP is still in stock for the same price so I placed another order, let's see what I get this time. By the way, the last two shipments I've received from Amazon have been in a different (and more appropriate) type of mailer. They must have gotten tired of me sending back items that were damaged due to their poor packaging. These are a bit different than the "frustration free packaging" ones but they seem to work quite nicely, the records arrived in perfect condition. tmtomh and paulmock like this. I wonder why they don’t use the white plastic recyclable bubble mailers for everything? If you cut around the shipping label, it can be recycled with grocery bags. The only reason I'm not returning it is because it was so cheap. A new copy elsewhere would cost more than twice what I paid for this one, and the vinyl is playable. I'm losing my patience with Amazon. Is that how it was shipped to you with nothing around it? Even a pizza box would have been better. Yep, via UPS. It was pretty badly bent up and dinged on the corners. Definitely unacceptable. I'd be embarrassed to send even a CD out like that. Holy **** man, that is beyond bad. 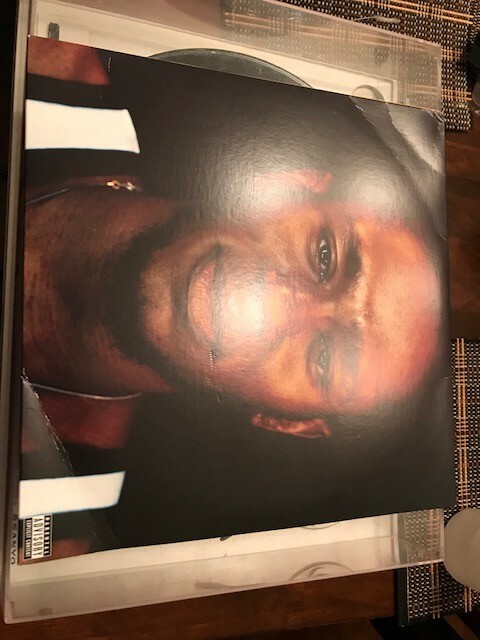 I think I am done with Amazon for records. I am buying elsewhere, will pay a little extra but **** it. Wow, that is bad. 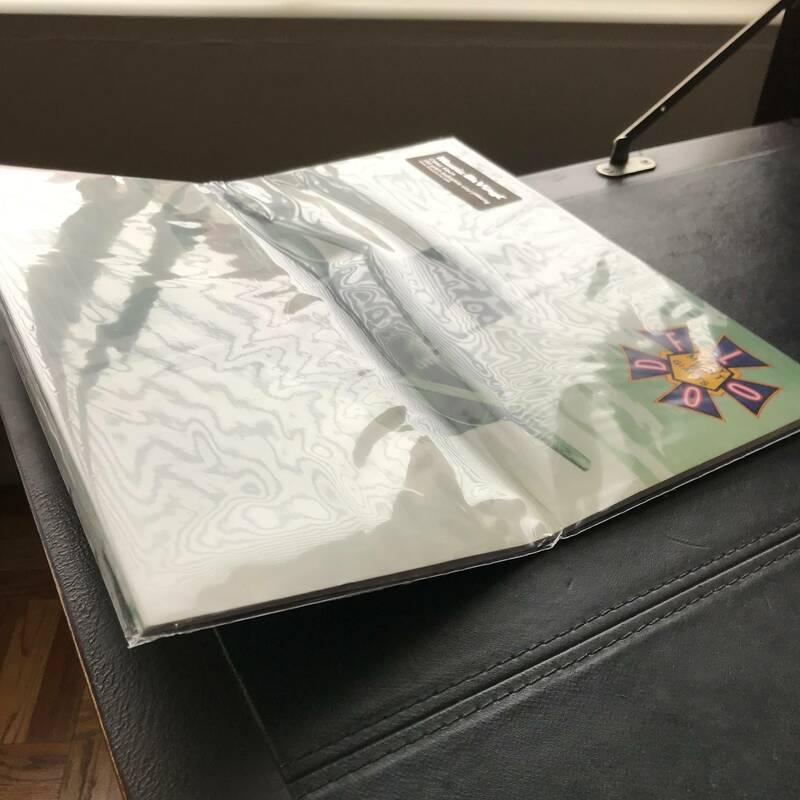 Don't they usually send their records out using those thick record mailers? Sometimes I even get mine in a large box with bubble wrap even it's just a single record. Maybe that's from an amazon seller and not "fulfilled" by Amazon? Just be thankful that postie didn't stuff it through your letterbox just to add insult to injury. 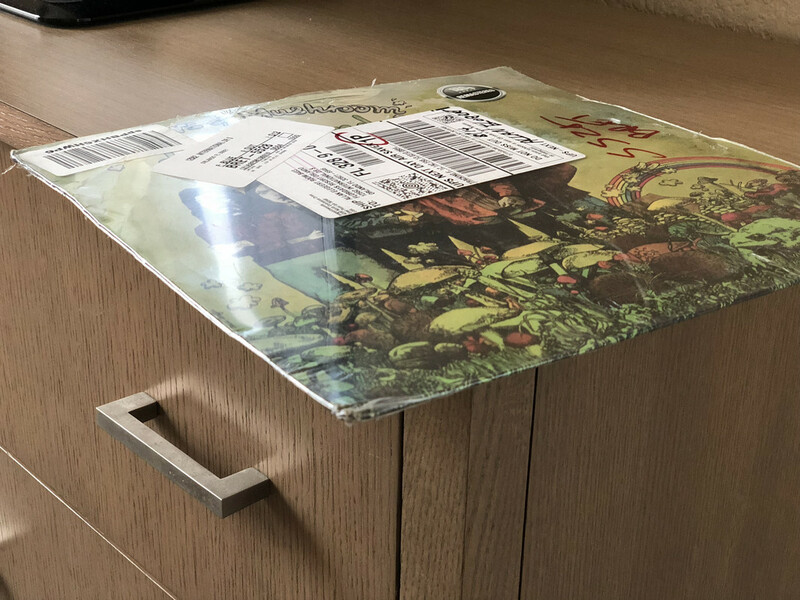 How can anyone think that sending an LP through the post like that is acceptable? Dave and jason202 like this. I’m pretty sure it was fulfilled by Amazon. Tracks no says it originated in Salt Lake City, Utah. 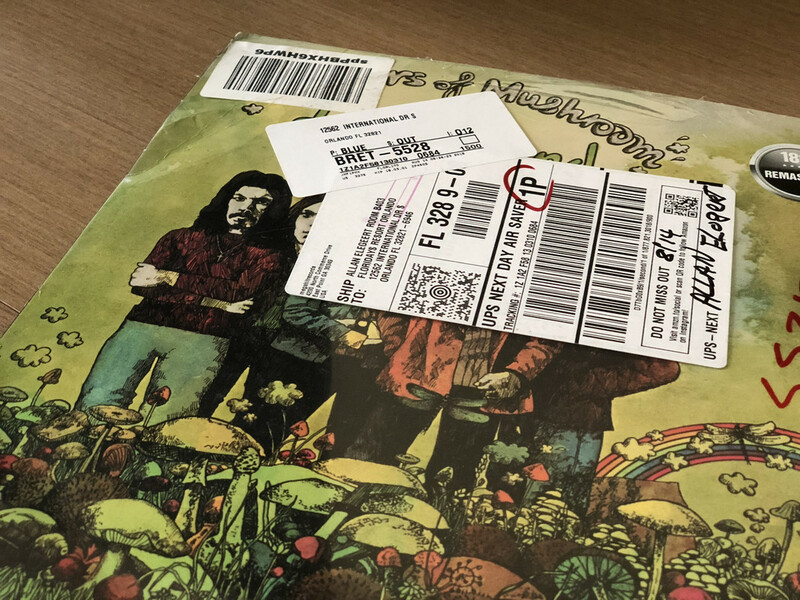 I’ve seen some bad packaging by Amazon over the years, such as records bouncing around in a big box with no padding at all, but this is the worst. You probably haven't seen what Amazon sent me this Summer..I didn't even get bubble wrap. Unbelievable. Naturally the LP was snapped in half. This will be my third return in a month, and fourth damaged product. I'm just about done with Amazon. Runicen and MYKE like this. This is why I'm down to our trusted Classifieds sellers, and Acoustic Sounds, with their bomb-proof packaging. Oh, and I'm a Prime member too. I only trust them for CDs and Blu rays anymore though. My deepest sympathies, I've received a broken in two record from another retailer I exiled from vinyl about 3 years ago now. It stings. I never bought from Acoustic Sounds, good I take it package wise? I've been giving more and more business to Bull Moose lately. Their prices and shipping are usually reasonable, packaging is sufficient and customer service is great. George McClellan, PhantomStranger, John Porcellino and 2 others like this. Oh yeah. One of those sturdy heavy cardboard deals that holds the records, with bumpers built in, then folds over into more protection from the outer walls, then taped up with that nylon-reinforced mover's tape. Here in America, it's then handed off to a Fed Ex driver, and arrives here ( 750 miles) in two days. Ireland may be fairly expensive, I don't know. Yes, my apologies to Bull Moose, how I forgot them I don't know. US sales only. I gotta move to The States so! Yeah I think it would be pretty expensive. Thankfully got some sweet shops in UK to buy from.